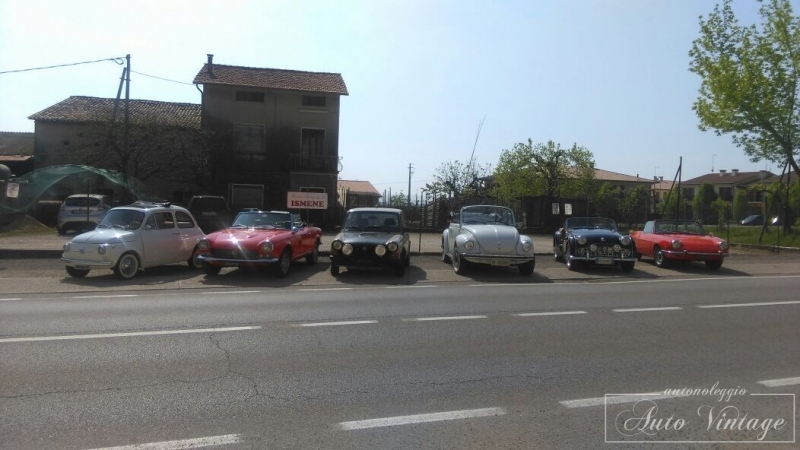 Auto Vintage & More can deliver the rented car directly to Jesolo, Caorle, Eraclea, Sottomarina, Chioggia, Bibione e Lignano Sabbiadoro or offer a transfer to and from our garage in Castelfranco Veneto. 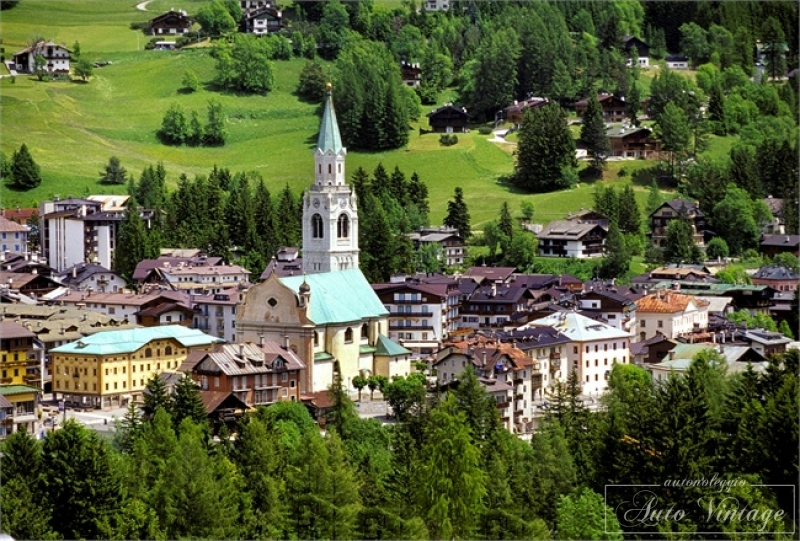 One town, so many towns. 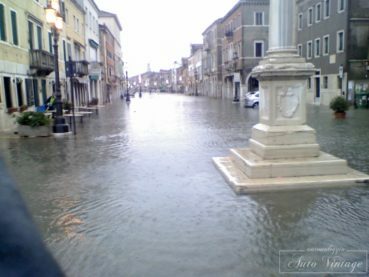 Jesolo, it is one and many, is made for your own needs but also those of our neighbors opposite. Jesolo is the verb of doing holiday as we want. 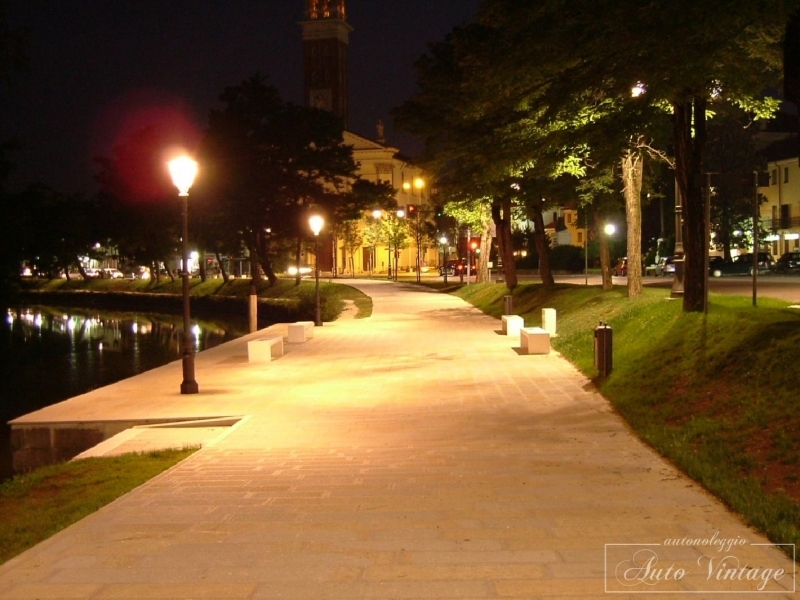 Jesolo is a city evolved to amenities, services, organization of traffic, security, quality, range of accommodation facilities and opportunities for recreation. 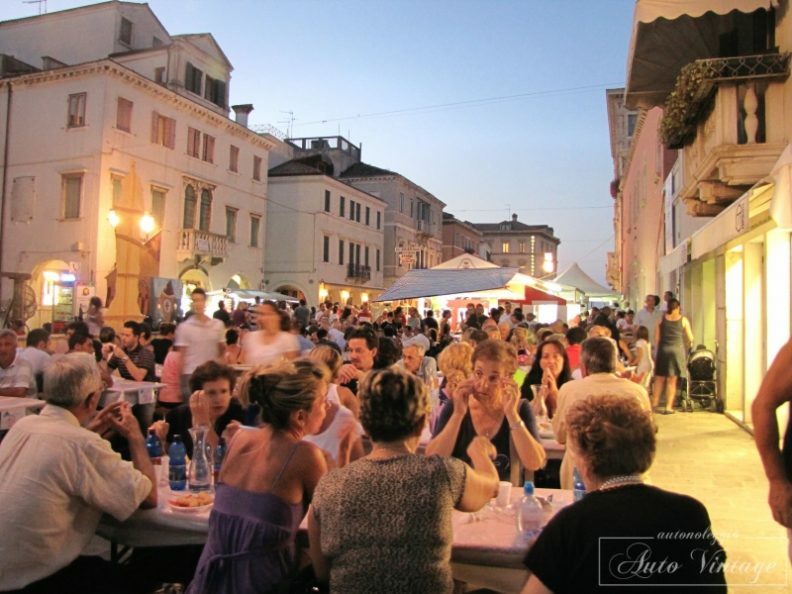 In the hotel or in an apartment, in a house or a bungalow, camping not far from the sea, in the woods or in the center of Lido: the accommodation that best suits on offer detailed and high-level, which responds best to all needs. 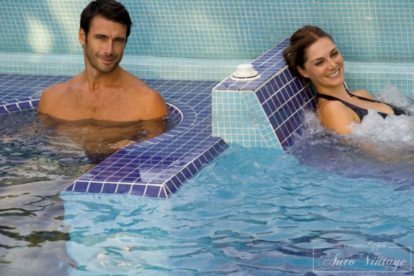 Facilities excellent services, warm hospitality always welcome you to Jesolo. 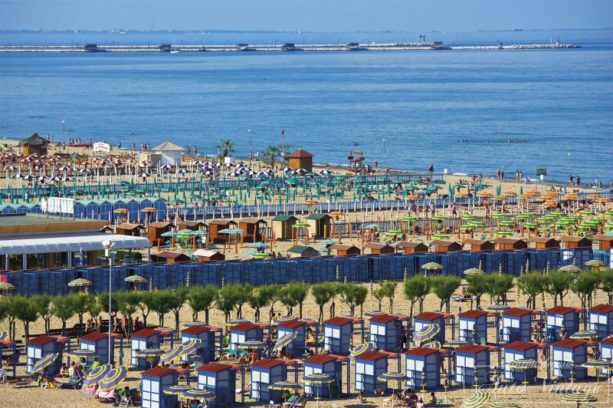 Today the tourist accommodation in Jesolo speaks with the language of truly influential figures: are 80,000 beds, distributed in about 400 hotels, more than 15,000 apartments and 7 between camps (including the Camping International has obtained the five-star for ‘mobile homes ‘German ADAC) and villages. 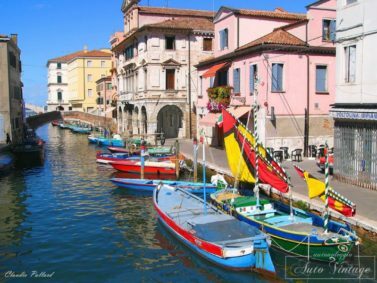 Auto Vintage & More can deliver the rented car directly to Venice Tronchetto area, or offer a transfer to and from our garage in Castelfranco Veneto. 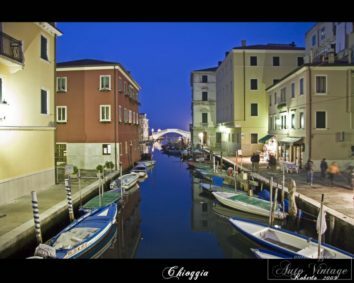 Considered one of the most beautiful cities in the world, Venice has a long history of which he is still a trace of the sumptuous palaces, churches and museums. 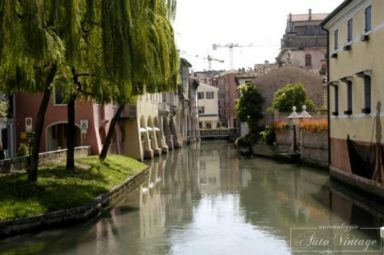 Full of charm and mystery, the city on the water can be a destination for a romantic getaway, but also a cultural stay. Its liveliness is expressed through events of international importance, such as the Biennale, the Film Festival and the opera season of the Teatro La Fenice, but also in the Carnival and the Historic Regatta. 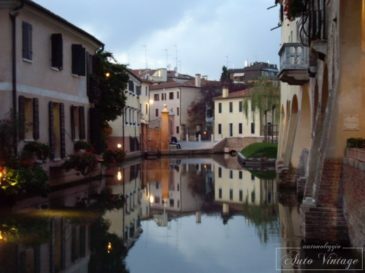 Venezia is one of the most romantic place for a beautiful honeymoon and holiday. 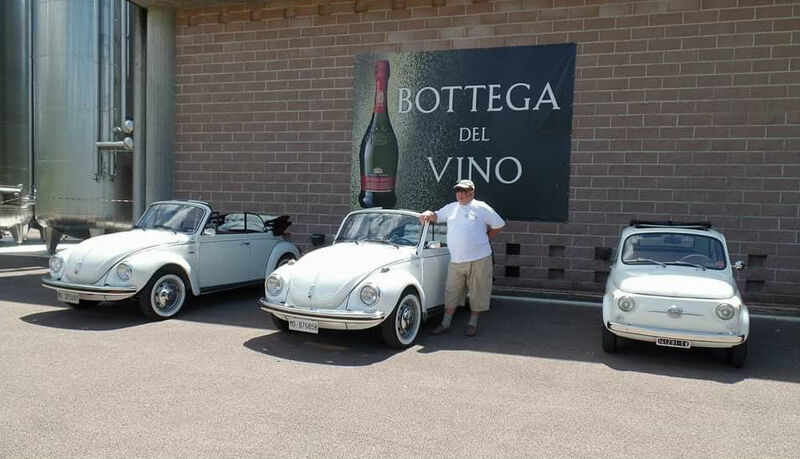 Auto Vintage presents to its customers a variety of Wine Tour solutions also offering the possibility of customization based on the needs and availability of the customer. 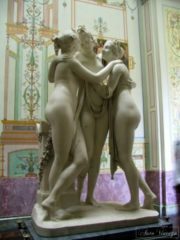 Sol. 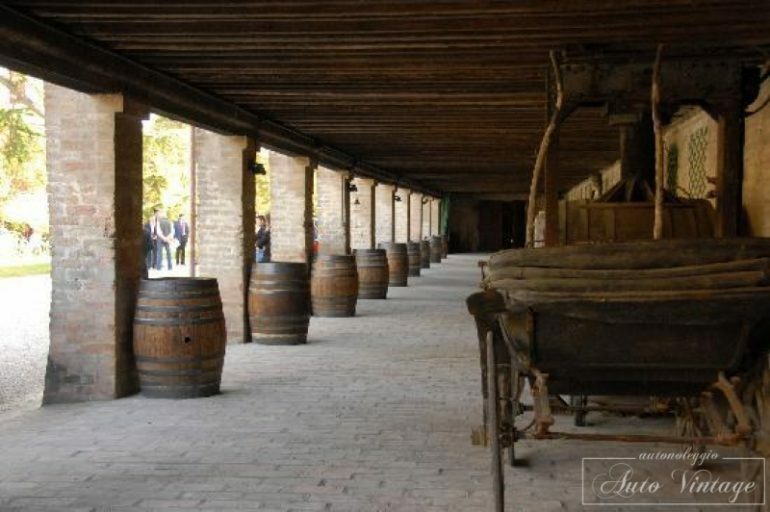 A: Morning starts at 9.00 am with a visit to 1 Cellar and tastings, until 1.00 pm. Sol. 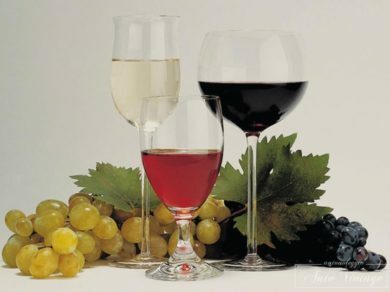 B: Half day starts at 9.00 am, with the visit of 2 cellars and tastings, Lunch included until 3.00 pm. Sol. 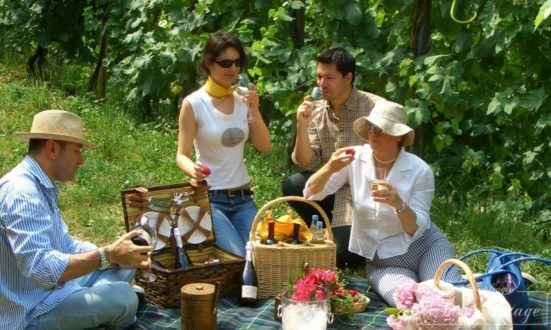 C: Full day starts at 9.00 am, with the visit of 3 cellars and tastings, Lunch included until 6.00 pm. 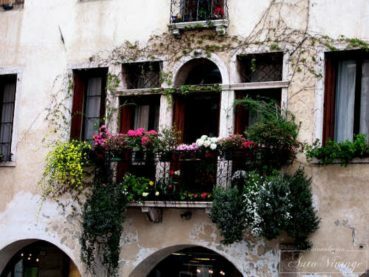 During the journey it is possible to stop for a visit to the Venetian Villas, or to other places of historical and cultural interest. 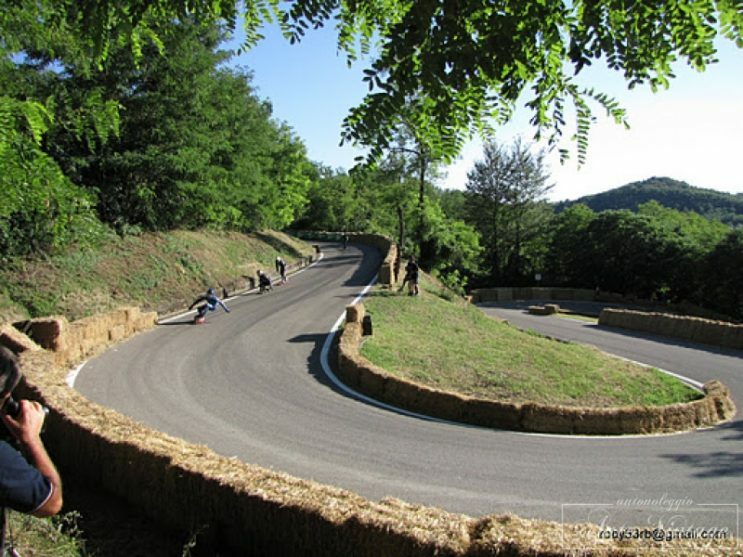 Auto Vintage & More, following the experience gained over the years in the rental of vintage cars, and having its headquarters in a beautiful geographic area such as the eastern Veneto, offers you the rental of a vintage car for Vintage Tour, with the possibility of booking a travel package, which includes the travel program, the itinerary and the booking of the accommodation facilities. 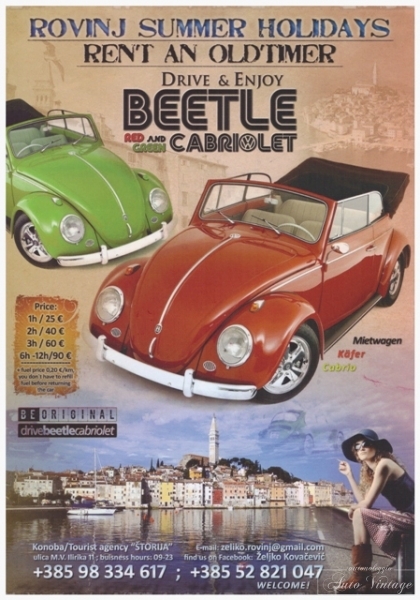 Auto Vintage & More is not just a car rental service, but a reference point for those looking for something that goes beyond our thinking, a form of “on the road” tourism for all lovers of legendary cars spider of the past and of the vintage style being located in a location that is a reference point for food and wine and viticulture. 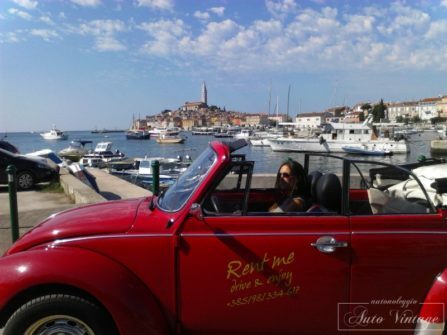 The wind in your hair, a sunny day, a spider and away … the pleasure of watching breathtaking landscapes, do you need anything else to enjoy life? 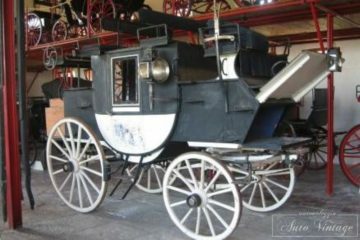 We offer you the possibility of delivery and collection of our cars at your accommodation, and planning of recommended tours. 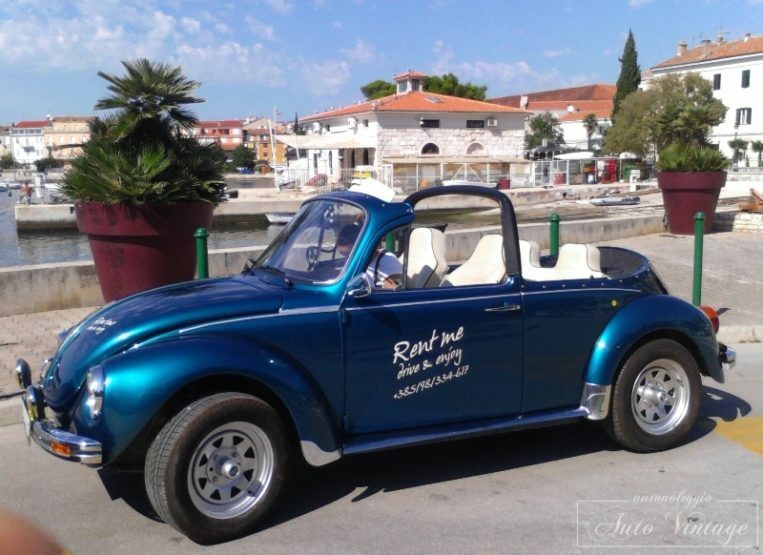 The high quality standards of the vehicles and the special attention dedicated to each individual customer are just some of the aspects that make Auto Vintage & More appreciated and valued by its customers. 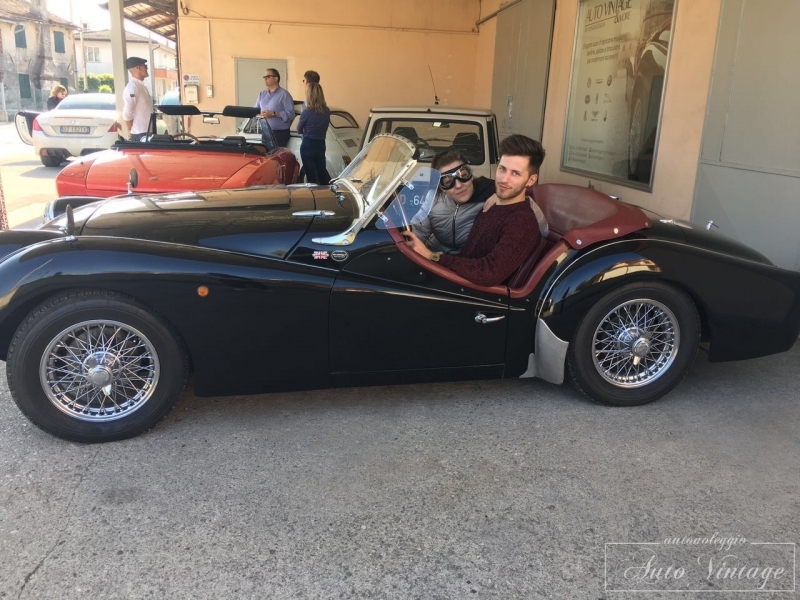 Auto Vintage & More has its headquarters in Castelfranco Veneto, a location that can be reached very easily and is located in the center of the Veneto Region, an excellent starting point to reach the many attractions that make the Veneto region a unique region of its kind. From Venice Historical Center we are 35 km away, you can use the train leaving directly from the station of Venezia Santa Lucia and at the station of Castelfranco Veneto you will find one of our staff who will accompany you to our office. 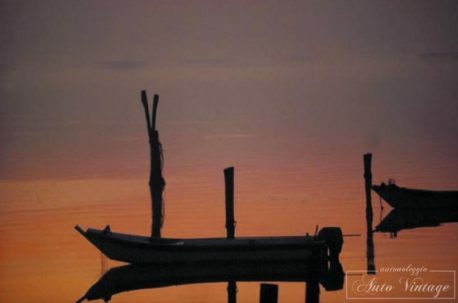 From Venice Marco Polo airport, 40 km away, on request you will find our staff who will accompany you to our office. 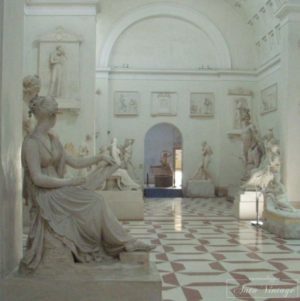 From the Treviso Antonio Canova airport, 20 km away, on request you will find our staff who will accompany you to our office. 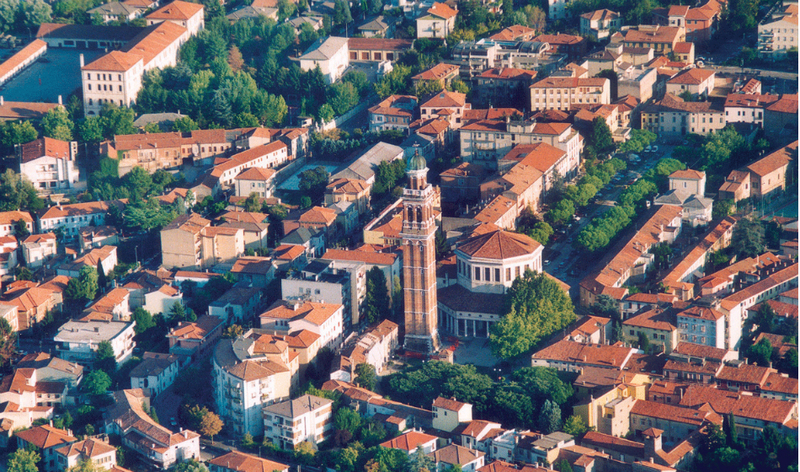 From the Valerio Catullo Verona airport, 100 km away on request, you will find our staff who will accompany you to our office. Or you can request one of our Transfers from anywhere in Northern Italy. 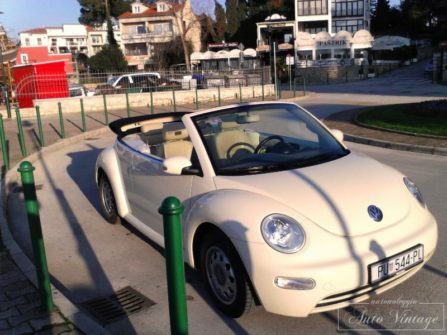 On request our cars can be equipped with a GARMIN GPS navigator configured in your language, without any additional cost. 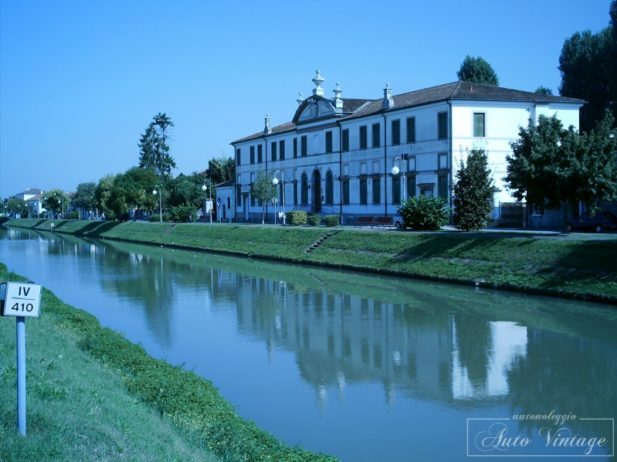 A transfer of a car from our main Castelfranco Veneto office is available on request. 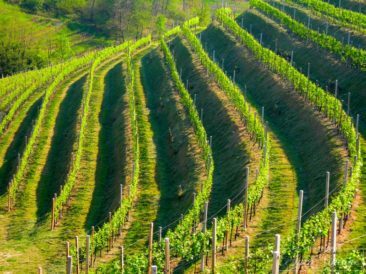 In the heart of Veneto, just a few kilometers from Padua, immersed in the enchanting scenery of the Euganean Hills Regional Park, the Wine Route opens up. 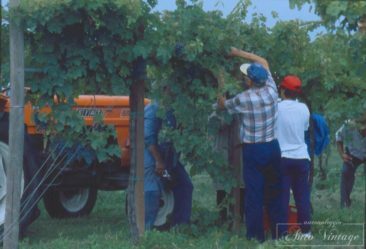 It is a territory that includes 17 municipalities where natural, historical and artistic beauties merge in a landscape that the human hand has made desirable to the eyes and to the palate of the visitor. 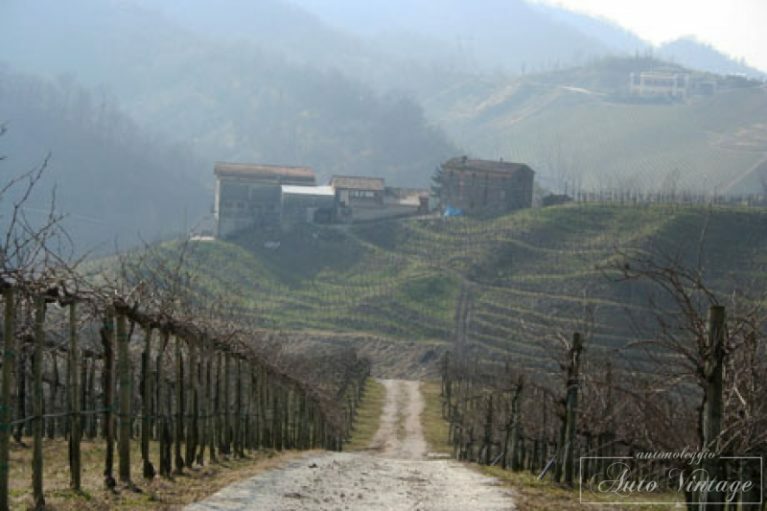 Wandering from hill to hill, you are pleasantly welcomed in the farms and cellars for pleasant tastings of wine. 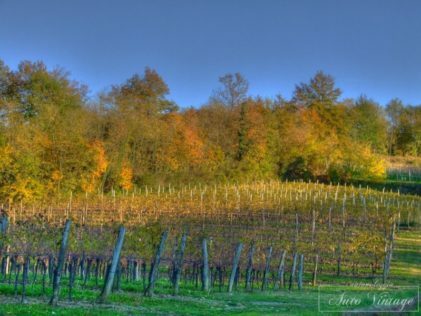 The Euganean Hills rise suddenly from the flat land, the landscape is a succession of perfect geometries of vineyards, medieval villages and castles, Renaissance villas and patrician houses, churches, monasteries and hermitages still inhabited by Benedictines and Camaldolese. 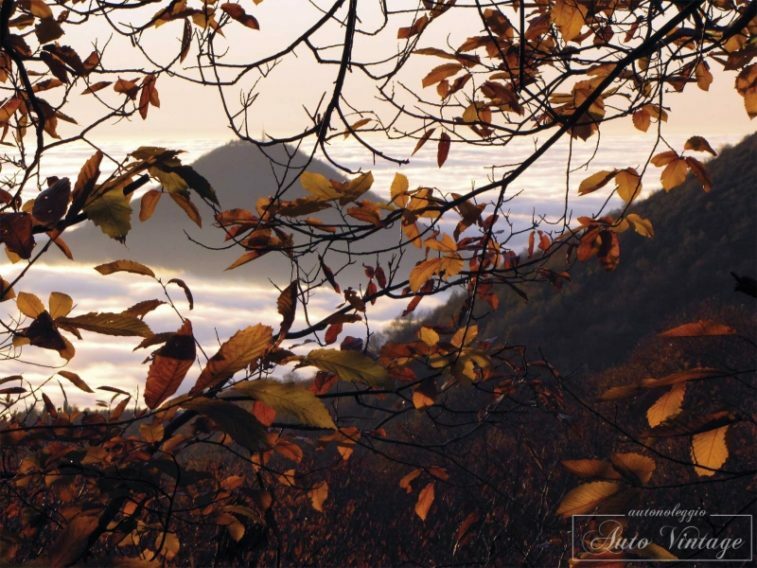 A treasure chest enclosed within a naturalistic island protected by the Regional Park, characterized by a very rich and varied vegetation and a land that offers precious fruits in every season: delicious berries, cherries, strawberries, blackberries, jujubes , pomegranates, figs, delicate wild herbs, fine honey and oil processed according to a tradition of 700 years. 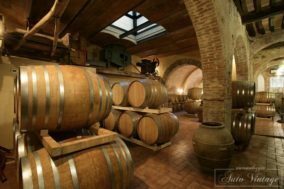 Along the Wine Road of the Euganean Hills you can recognize the favorite places of famous people like Petrarca, Goethe, Foscolo, Byron and Shelley. 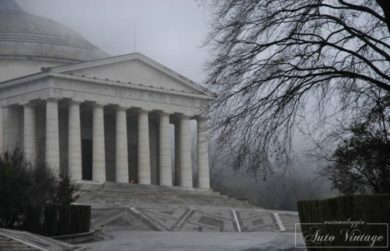 Enchanted places described by Marziale, Ariosto, Montaigne, Ruzante, Goldoni, Fogazzaro and D’Annunzio. 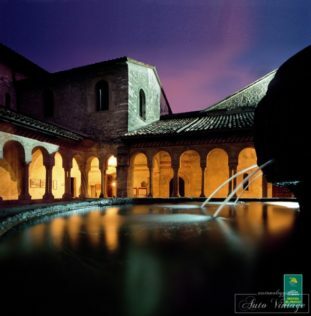 You will meet the Euganean Spas, the most famous spa in Europe, a place of well-being known for mud therapy. 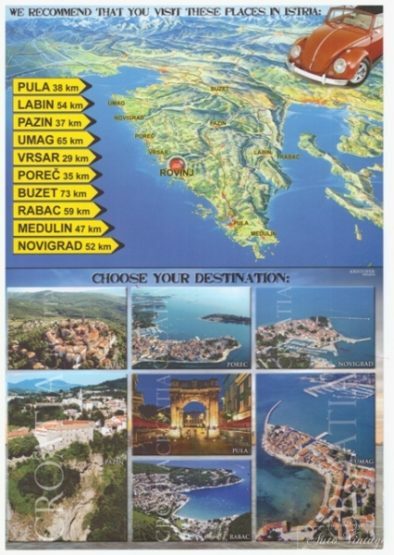 You can enjoy golf, horse riding, cycling, trekking, bird watching and much more. 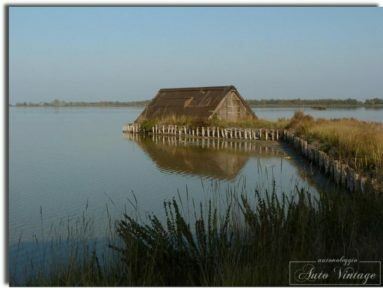 The Valli di Comacchio are the largest complex of brackish wetlands in Italy and the area of ​​greatest attraction within the Po Delta Park. In fact, the avifauna is the most spectacular fauna component of the oasis, with dozens of species that find shelter here. 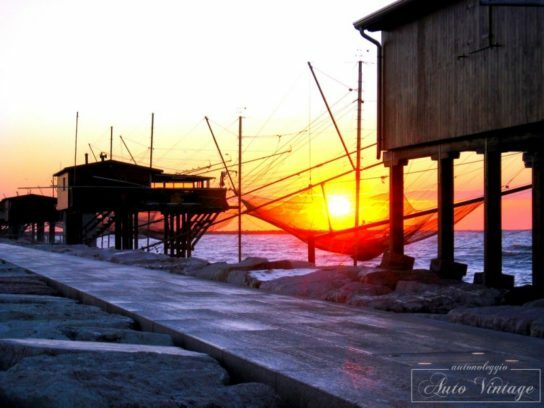 From the Foce Fishing Station there are different types of excursions by boat, on foot or by bicycle to the discovery of a unique and very particular ecosystem, made of water as far as the eye can see, land tongues and valley houses, in a subtle balance where each element tells stories of fishing around the traditional “lavoriero”, a fixed trap in water that allows you to capture eels separately from other fish such as mullets, sea bass, gilthead, flounder and aquadelle, while pushed by reproductive instinct migrate to the sea. 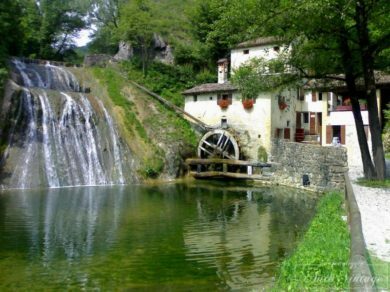 The “Casoni” had a double function as they served both as fishing stations and as stalking for the protection of the valleys from poaching. 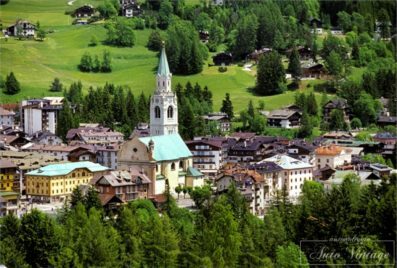 They are the cornerstones of a touristic itinerary of unrepeatable suggestion, which winds along the banks and along internal channels to the valleys. 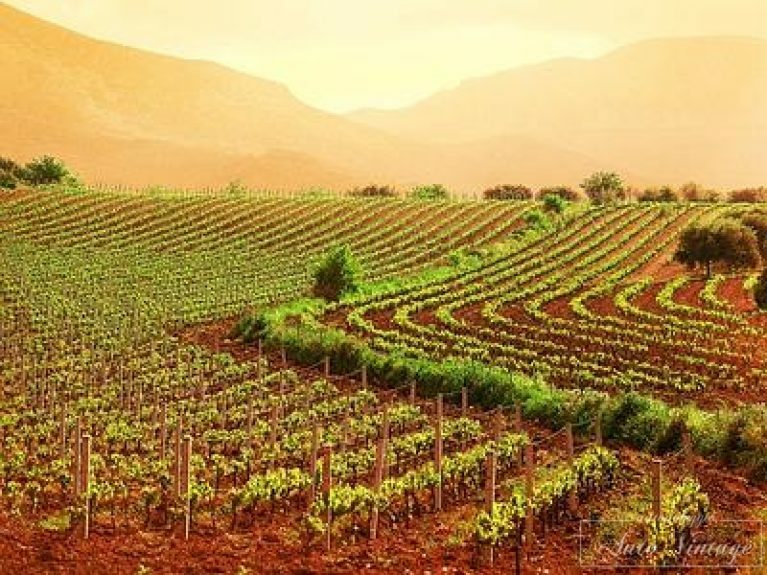 Other oases that can be visited in the valley area are the oasis of Valle Zavalea, located at the north-western end, where there is an observation tower, and the oasis of Valle Campo, which can be accessed through the Romea National Road. 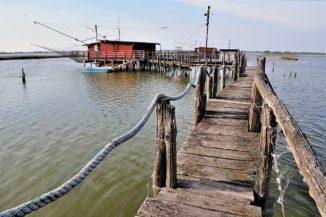 Here the managers offer excursions by boat, bicycle and on foot, to discover the beauty of the oasis and traditional fishing techniques. 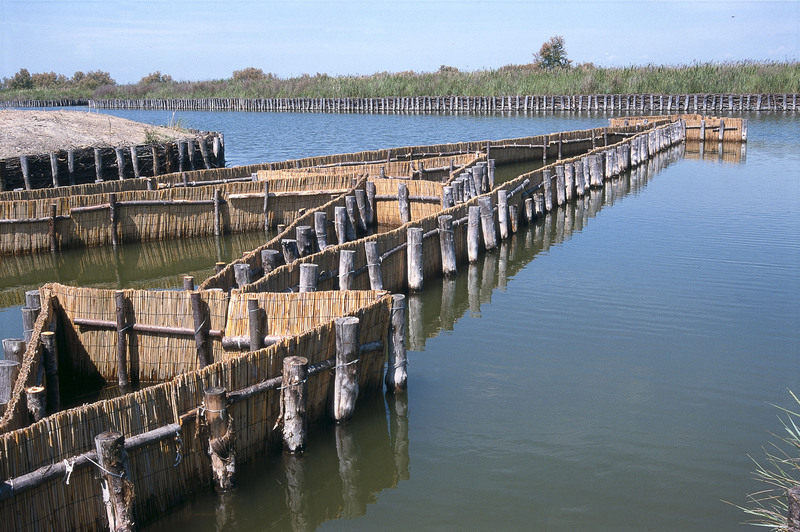 The Salina di Comacchio is also worth a visit. 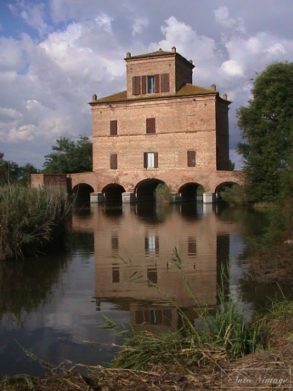 Extending for about 550 hectares north-east of the main nucleus of the Valleys, the Salina, which preserves a plant built during the Napoleonic era, remains a testimony of the role played by Comacchio in the production of salt, albeit with varying fortunes, since ancient times. 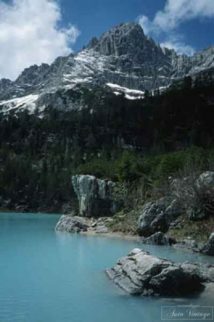 It is made up of canals, humps, ponds and reservoirs for the accumulation of marine waters, evaporation and crystallization of salt: in this very particular environment, extreme due to the high concentration of salt in the surrounding waters, the most particular is the vegetation and the presence of aquatic avifauna is very rich. In addition to being an important stopping area for migratory species, the richness and tranquility of the environment make the saline an important site for the nesting of many species, including the flamingo that has chosen this beautiful place as the site of a large colony, one of the few in Europe. 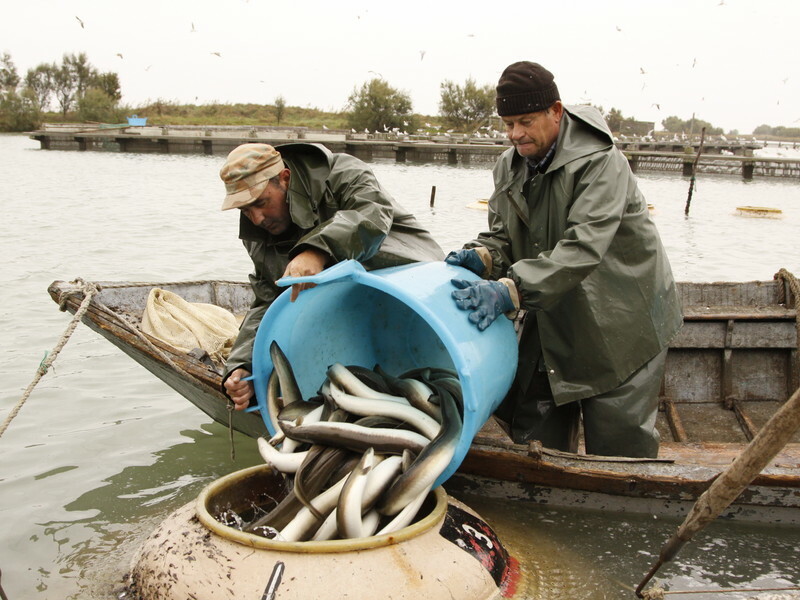 This extraordinary naturalistic site has been declared a Wetland of international importance by the Ramsar Convention, and by the European Union Site of Community Interest and Special Protection Area for Bird Conservation. The first stop of our tour is the city of Chioggia, one of the most important and most populous Adriatic fishing and fishing centers, situated between the open sea and the lagoon, presenting the picturesque aspect of a seaside town. The city, from the ancient origin, is built like Venice on islands joined by bridges. 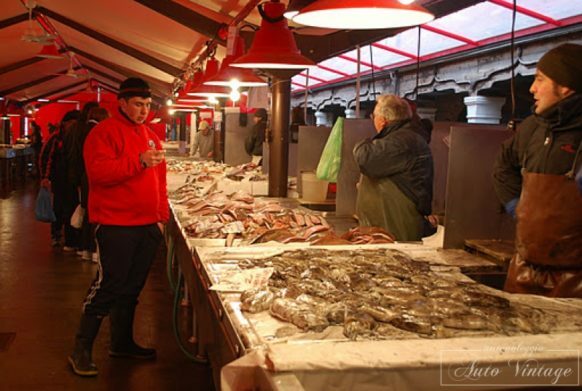 Characterized by the curious herringbone structure, Chioggia is waiting for nothing but being discovered. 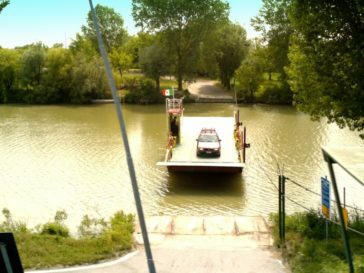 Returning the Romea state road in a southerly direction after about 25 km you will find the junction that will lead us to the Po Delta, a unique world between land and water rich in history, nature, flavors and culture. Our itinerary will lead you to the heart of the park, passing through enchanting wetlands where man and nature have always lived in balance. 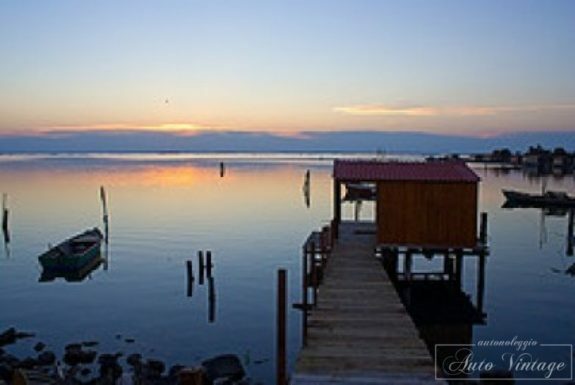 If you love nature, tranquility and the pristine environment, the Po Delta will be an unforgettable experience. 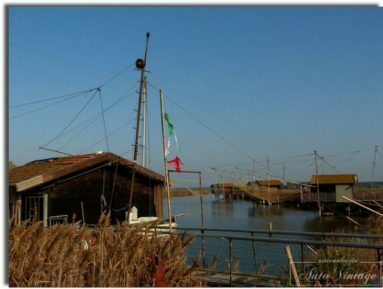 Visit obligatory all’Idrovora of Cà Vendramin, Idrovora of 1900 today become Museum of Reclamation, this wonderful example of Industrial Archeology, an ideal place to start getting to know the Po Delta. 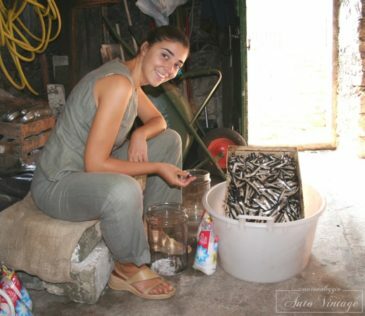 Lunch in the typical Cason di Valle characteristic restaurant housed in an ancient Casone di Valle (home of the guardians of the Valleys), and then continue on the beautiful scenic roads that develop between valleys, lagoons and the Delta countryside will be an unforgettable experience . Departing from Castelfranco Veneto after about 20 km you will reach Treviso, a spelendida and ancient town designed by the rivers Sile and Cagnan, a unique place that represents a sort of axis of balance between the natural and cultural riches of Veneto. 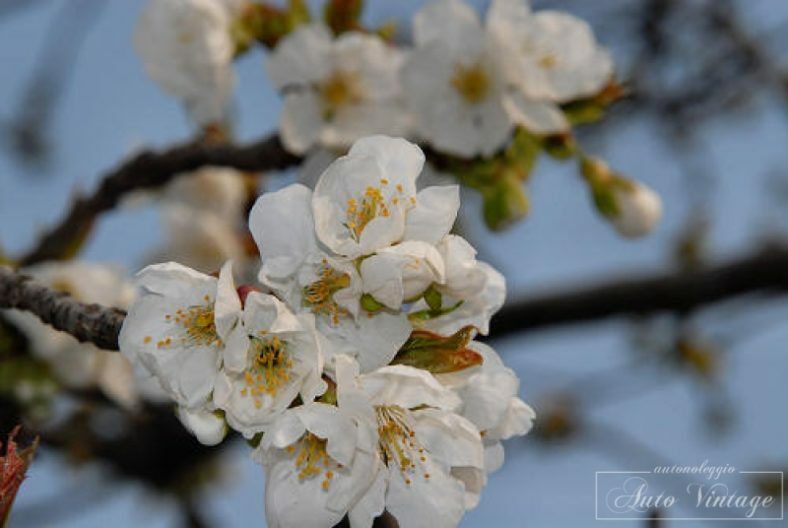 Here everything is harmonious, measured, gentle, elegant, in a word, joyful. 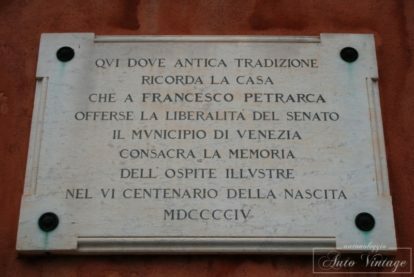 Which is then the name of the area in which it stands, already known in antiquity as, precisely, ‘La Marca Gioiosa et Amorosa’. 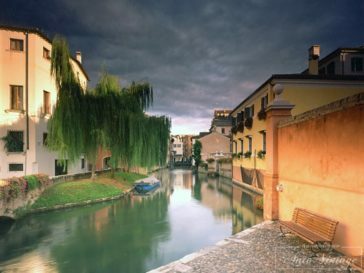 countryside and green hills then culminate here in the city splendor of brick and wood buildings that lap the rivers, adorned with frescoes and interspersed with willows that descend Treviso elegantly flush with water, a medieval aura with arcades, gardens and light reverberations accompany the visitor in a walk in time, among the noble residences of Piazza dei Signori (which preserves the symbolic building of Treviso in the Palazzo dei Trecento), the Casa dei Carraresi and the Loggia dei Cavalieri a path in art where art he is at home. 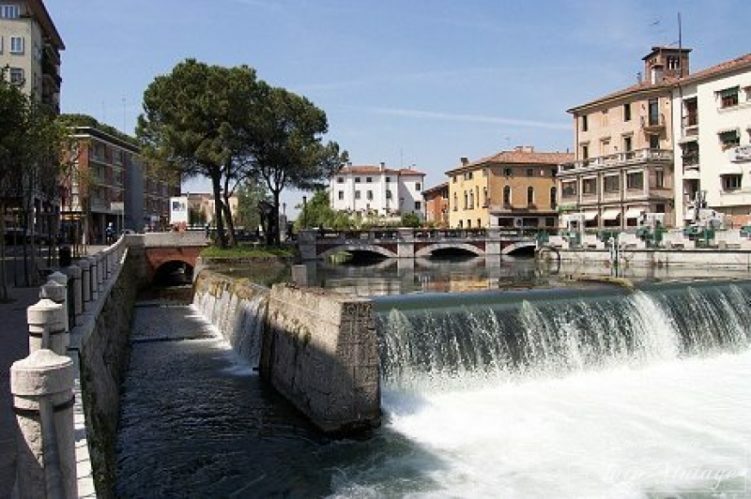 Continuing eastwards we reach Ponte di Piave, Monastier also lands of prestigious wines and cellars, all accompanied by a gastronomy nothing short of amazing. 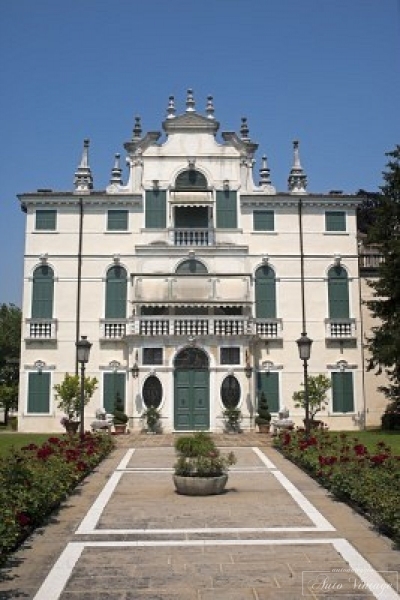 Continuing to reach Roncade obligatory stop with a visit to the prestigious Castle of Roncade one of the most characteristic testimonies of rural culture in the Venetian society. 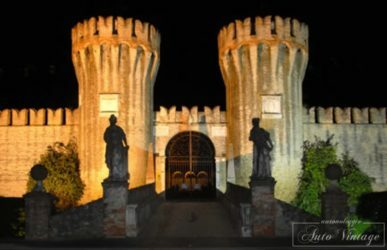 Entering the Castle of Roncade means plunging into a fairytale reality. 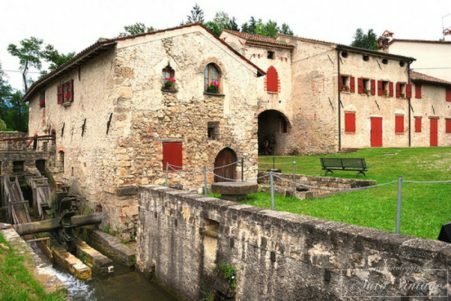 The majestic Renaissance complex faithfully reproduces the features of the ancient manor, and the remains of the original fortifications have survived over time. 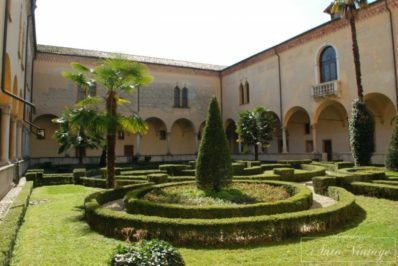 Located between the parish church and the historic center, the Castle is the only existing Venetian Villa surrounded by medieval walls. These embrace almost the entire garden. 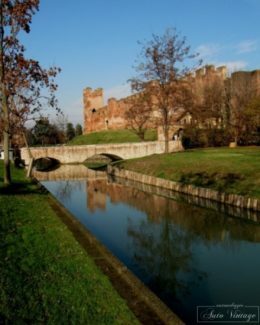 A moat, similar to those of the tales of chivalry, surrounds the medieval walls dominated by majestic blackbirds. 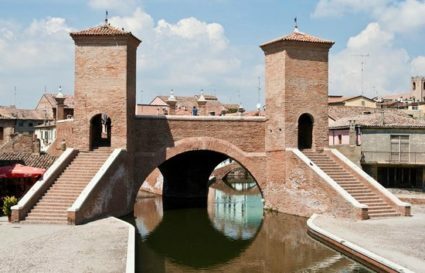 At the ends there are four towers that dominate the landscape, while on the sides of the entrance there are two imposing towers, on which the two-faced eagle of the Giustinians is cut. 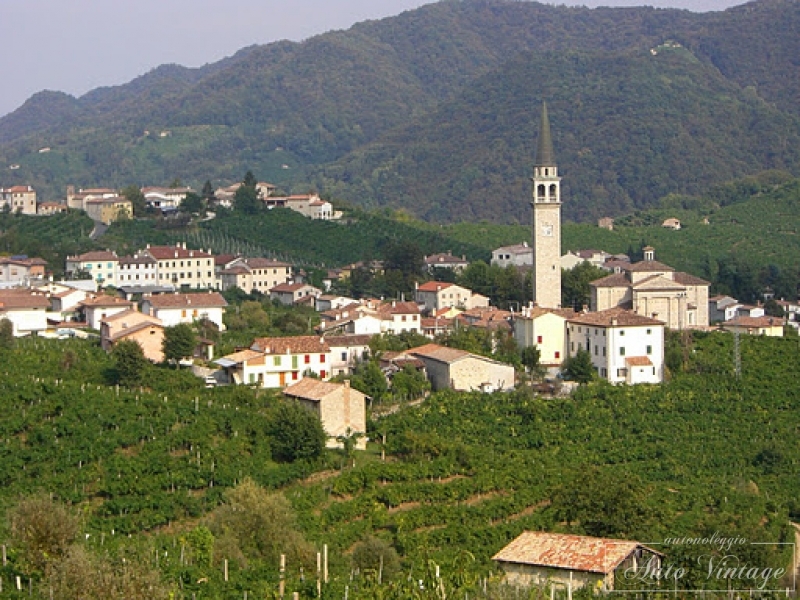 On the way back, we meet Casale sul Sile, Badoere di Morgano with the splendid “Rotonda”, one of the most famous barns in the Veneto region. 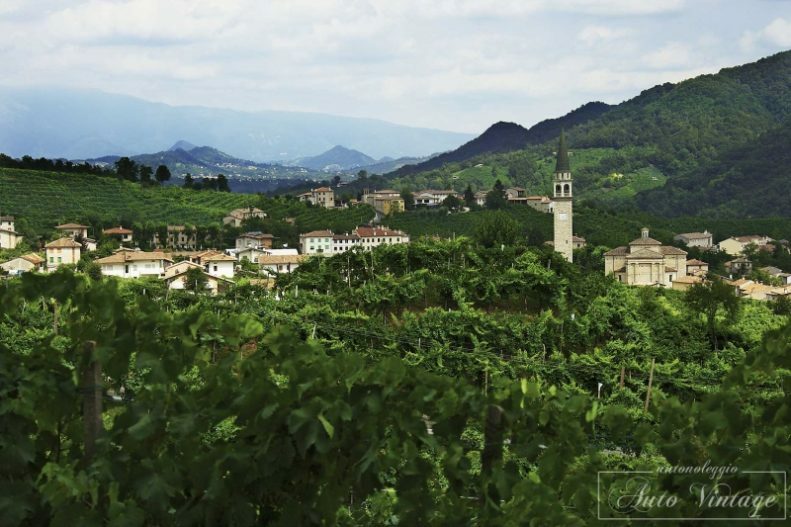 The lands of Prosecco, ancient lands always known for the production of excellent wines, are those that extend between Conegliano and Valdobbiadene, which give the Prosecco vines, lying on the gentle slopes of a landscape characterized by abbeys and ancient parish churches. 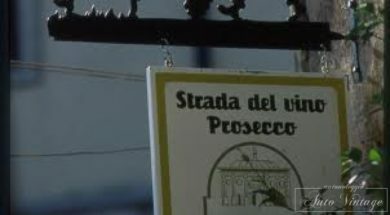 In this marvelous environment the “prosecco road” winds its way from Conegliano to Rua di Feletto, built around the ancient Camaldolese monastery of S. Maria Assunta and then to S. Pietro di Feletto where the ancient Pieve medieval of the twelfth century with a Romanesque bell tower, it is the custodian of splendid frescoes from the 1200s and a “Madonna with Child and Saints” from the fifteenth century. 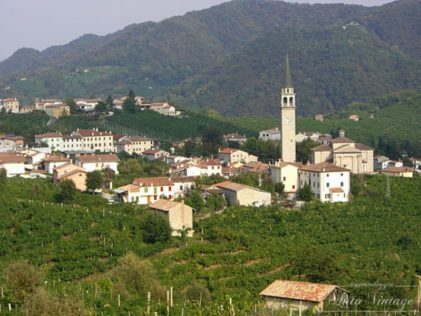 The itinerary then continues towards Refrontolo to visit the enchanting Molinetto della Croda, a romantic and old mill set in the rock, a production area renowned for Prosecco but also for the excellent Marzemino. 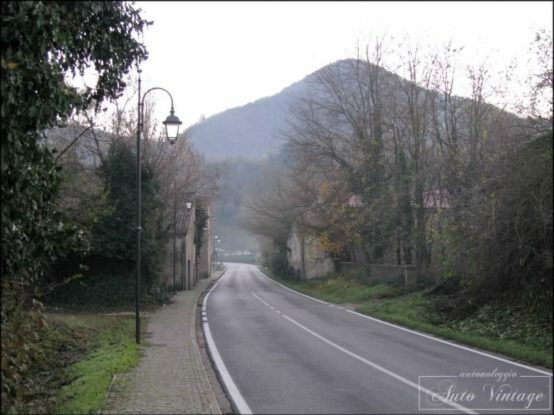 The “prosecco road” then turns towards Pieve di Soligo, Solighetto and Farra di Soligo to finally reach Valdobbiadene, the undisputed homeland of Prosecco and Cartizze. 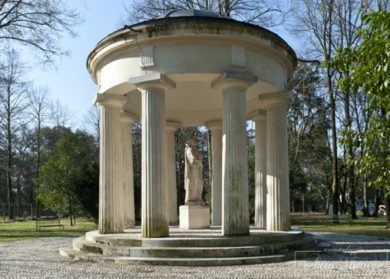 In the return it is possible to follow from Valdobbiadene along the Piave to rediscover the luohi of the Great War, places inextricably linked to the history of our country. 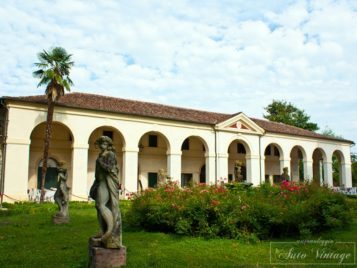 Along this itinerary in the heart of the history it is possible to admire an altar-piece of Pordenone in the church of Moriago della Battaglia and access the Natural Reserve of the Island of the Dead on the Piave. 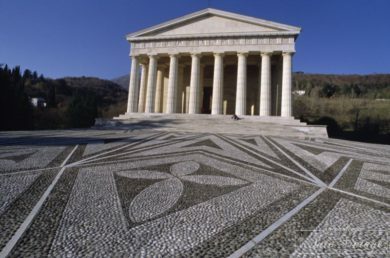 Continuing with a picturesque hilly landscape you can reach Possagno, the birthplace of the sculptor Antonio Canova, and visit its splendid Temple and the Gipsoteca which contains some of its most important works. 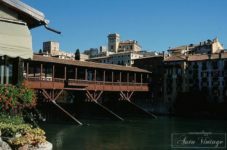 And after about ten kilometers you reach Bassano del Grappa, famous for the production of artistic ceramic artifacts and grappa and tagliatelle, we recommend visiting the historic center with the characteristic Ponte Vecchio, without forgetting to stop at osteria of the Nardini Distillery, located at the beginning of the bridge. So what are you waiting for? 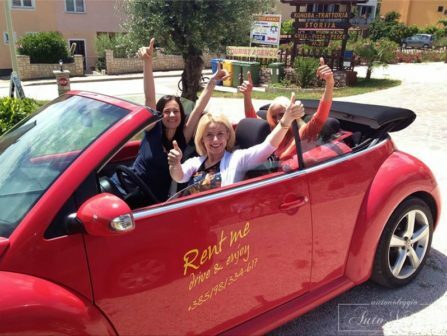 Call and book! Following the ss. 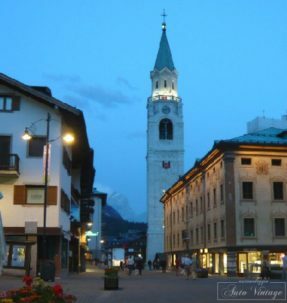 51 of Alemagna in the North direction, you pass Longarone, Tai and Valle di Cadore, go up the Boite valley with the Pelmo and the Antelao on the sides, after passing San Vito di Cadore, the view meets an exciting scenario of the ampezzana valley which opens up surrounded by majestic peaks. 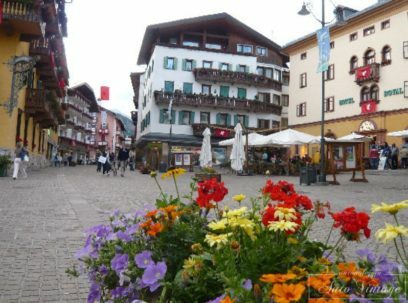 This is perhaps the busiest communication route that leads to Cortina, but it is also the only one that does not require the crossing of any Dolomite pass. 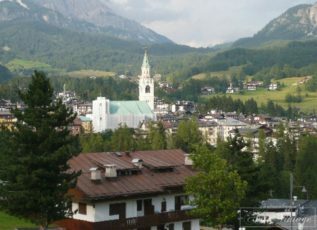 Cortina can be a starting point for the Tre Croci Pass – Auronzo – Misurina to the east, Dobbiaco – Bolzano – Brennero to the north, or the Falzarego Pass, and the Pordoi Pass to the west. Cortina is a beautiful and industrious town located at 1224 meters, but is surrounded by very high peaks such as Monte Cristallo 3218, Tofane 3243, and Mount Sorapis 3202 mt, is in the province of Belluno and is located between the regions of Veneto and Trentino South Tyrol. 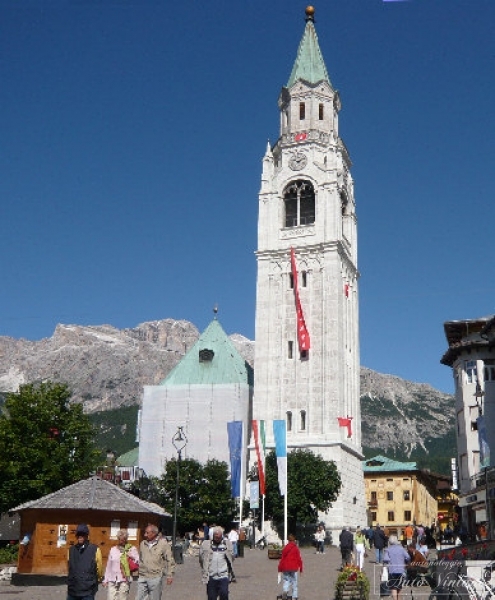 The shopping in Cortina is a mast, Corso Italia is one of the most famous Italian streets, here are many fashion shops, designer labels, the latest news in the world of clothing, jewelry, antiques, and art . Do not miss a ride inside the roof, a typical market where you can find the typical Ampezzo products. Chioggia, one of the most important and densely populated fishing and fishing centers of the Adriatic, located between the open sea and the lagoon, presents the picturesque aspect of a seaside town. 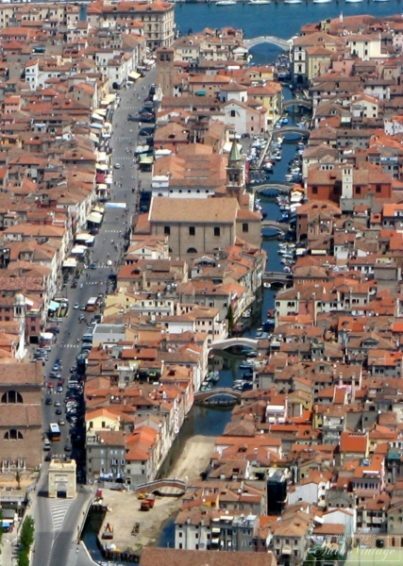 The city, from the ancient origin, is built like Venice on islands joined by bridges. 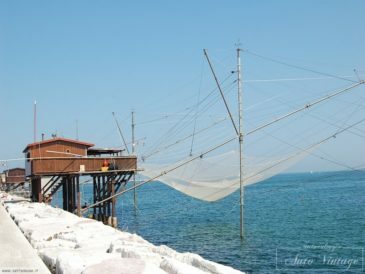 Characterized by the curious herringbone structure, Chioggia is waiting for nothing but being discovered. 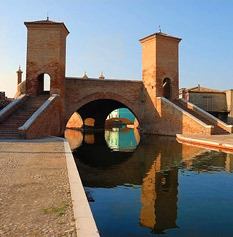 You can access it through the PORTA DI SANTA MARIA (1530), as it used to be when Chioggia was a walled city and this was the only access available to those arriving from the mainland. 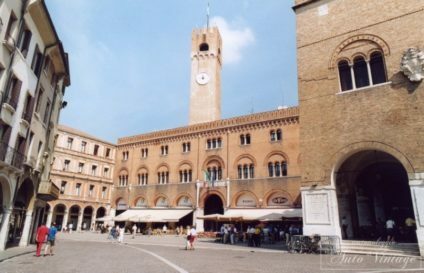 As you enter the city you will have the opportunity to admire in addition to the CATHEDRAL erected on the project by Baldassarre Longhena, a famous Venetian architect, PALAZZO POLI that for a few years was the HOUSE OF CARLO GOLDONI father of Italian comedy and author of the famous “BARUFFE CHIOGGIOTTE”. 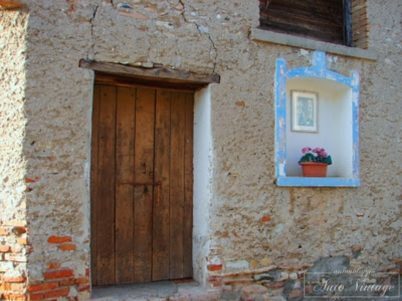 You will surely be fascinated by the paths through the internal streets looking for the most hidden views. 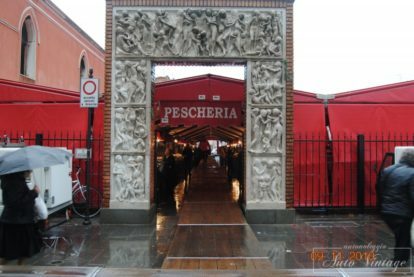 You will breathe the scent of fresh fish by entering for a short visit in the city PESCHERIA, a must for anyone visiting Chioggia. 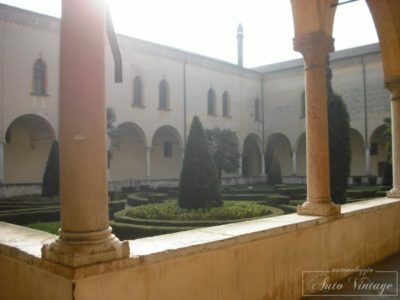 Not to forget the visit to the CIVIC MUSEUM of the South Lagoon is an archaeological and ethnographic museum of the lagoon hosted in the former Convent of San Francesco outside the walls whose first plant dates back to 1315 and the second, after its destruction in the war between Venetians and Genoese, 1434 and the MUSEO DIOCESANO of sacred art, built in the late 90s which houses the historical section, which offers a sequence of testimonies on the past of the diocesan communities of the early fourth century; the graphic section, that of silverware that exhibits a large collection of reliquaries closing the path with the “Christian initiation room” with golden woods of an ancient apparatus and a partial exhibition of the graphic work – pictorial artist Chioggiotto Aristide Naccari. 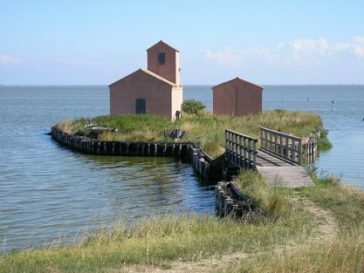 Driving along the Romea state road in the south you can visit the delta del po, and have lunch based on fish in characteristic trattorias. 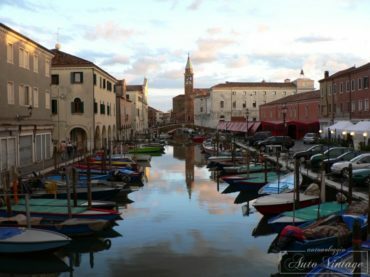 Venice, unique city, magically suspended on the water, is surely one of the most beautiful cities in the world. 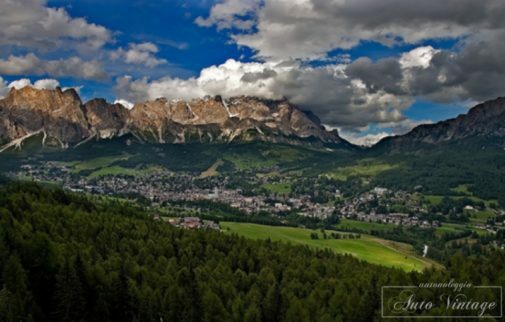 But certainly its surroundings can not be forgotten. 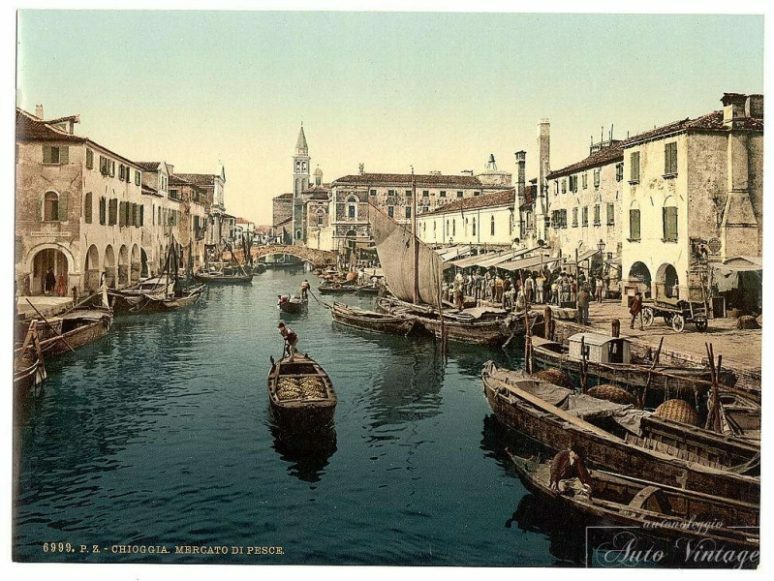 During the last centuries the Venetian aristocracy occupied the hinterland, building its residences, replicating the pierced architectures of the Grand Canal. 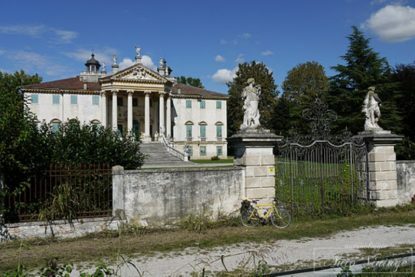 The beauty then came to live in the countryside and I am witnessing today the countless villas still existing along the Riviera del Brenta. 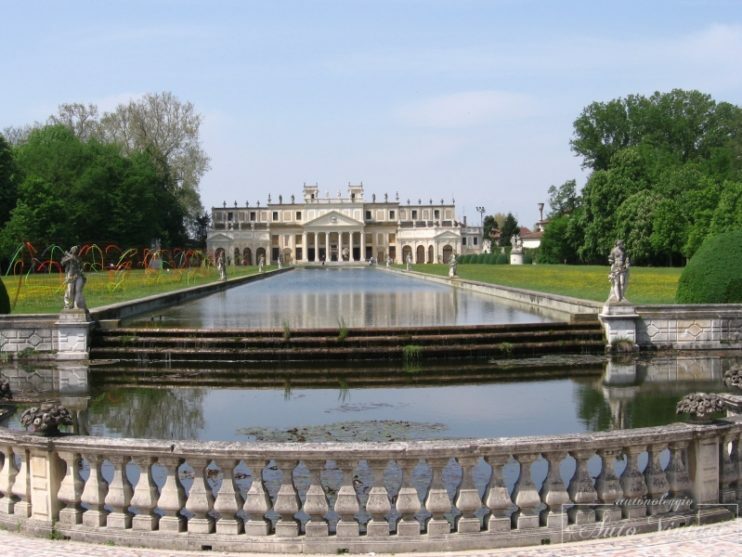 Directly from the lagoon you can soon reach the Riviera del Brenta where you can admire and visit the magnificent villas built by the noble Venetians between 1500 and 1700. 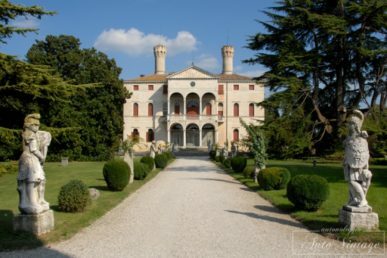 The first wonderful Villa we meet along the road that runs along the Brenta canal, starting from Venice is the Malcontenta that gives its name to the homonymous village in which it is located. 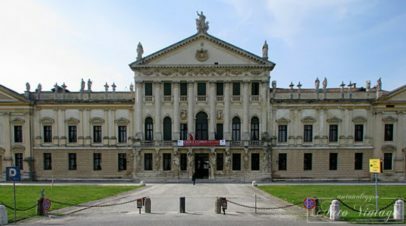 This beautiful residence is the work of the genius of Palladio who designed it in 1556 and since then is considered one of the most beautiful patrician residences in the world. 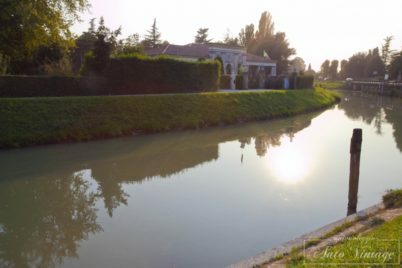 Continuing on our journey, we reach the ancient centers of Oriago, Mira, Dolo in a succession of bridges, ancient closed and welcoming inns, while our view is captured by the harmonious shapes of the Villas that overlook, without fear, in the slow waters of the canal . 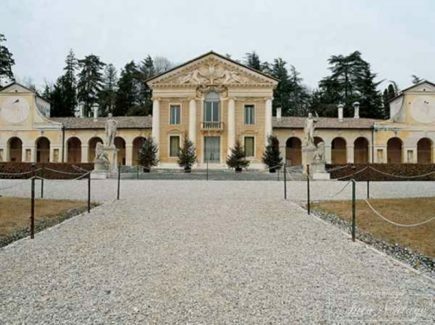 In fact, we can admire Villa Gradenigo, Villa Widman, Barchessa Valmarana and many others. 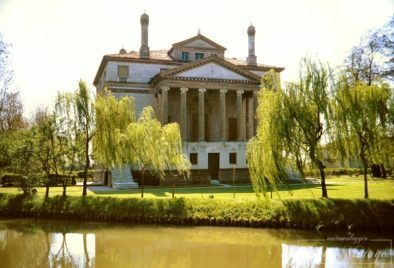 Our path then leads us to Strà and the beautiful Villa Pisani, beautiful in its size, set in a soft bend of the Brenta and graceful from the beautiful garden that surrounds it. The time has come to abandon the quiet waters of the Brenta River to enter the countryside of the Marca Trevigiana, where a succession of small villages and cultivated fields will cheer us up to Treviso. 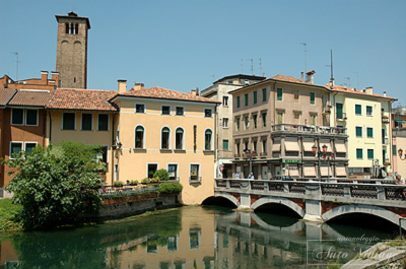 Elegant and discreet city in its medieval imprint, enclosed within the sixteenth century walls, bathed by the many waterways that are to be thrown into the Sile, Treviso joyfully welcomes works of art, museums, shops, wine bars and taverns and the various food and wine jewels, radicchio red wine and prosecco in primis. 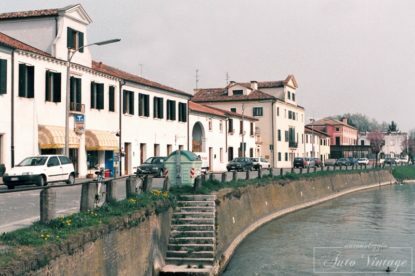 Heading south we can return to Venice along the ancient “Terraglio” road, also scattered with beautiful holiday homes of the ancient Venetian nobility. So we end our little journey in the heart of the Venetian hinterland where man has been able to blend harmoniously the artistic beauties with the natural ones. 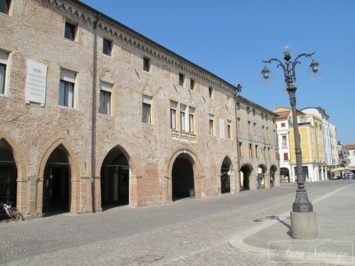 In Castelfranco Veneto an indispensable stop in the historic center, to visit the Cathedral that contains the precious Pala del Giorgione inside, is a tempera painting on a 200×152 cm table by Giorgione, dated to around 1502. Continuing in the direction of Asolo we arrive at Riese Pio X city that gave birth to Pope Pius X. 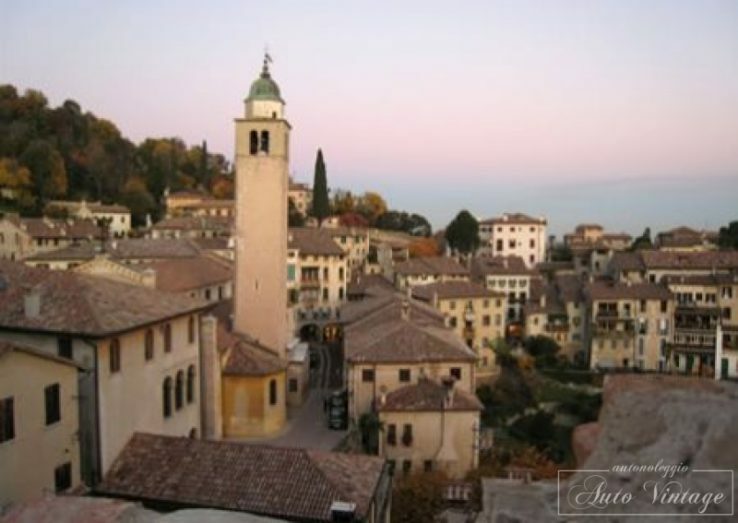 After a few kilometers you reach Asolo, an ancient village that still preserves a marked medieval imprint, a village gathered inside the walls and dominated by the Rocca, an imposing building placed in a coma at Monte Rocca, also famous for being the seat of Queen Cornaro’s court. 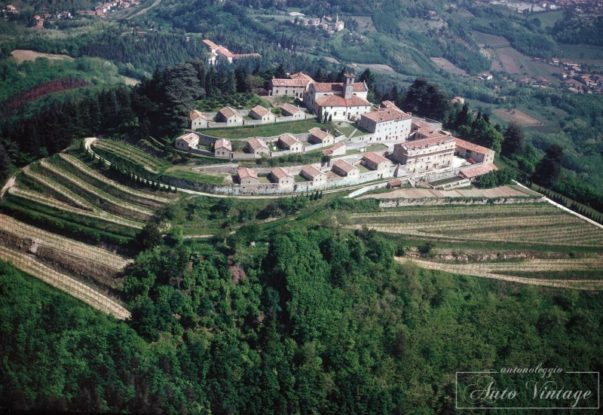 On the slopes of the hill is the village of Pagnano, famous for the Maglio, structure now restored and visited, continuing to penetrate the characteristic streets of the Pedemontana reaches Possagno, the birthplace of Antonio Canova and visit the Canoviano Temple from which dominates the verdant Val Cavasia. and the splendid Gipsoteca which contains some of its most important works. 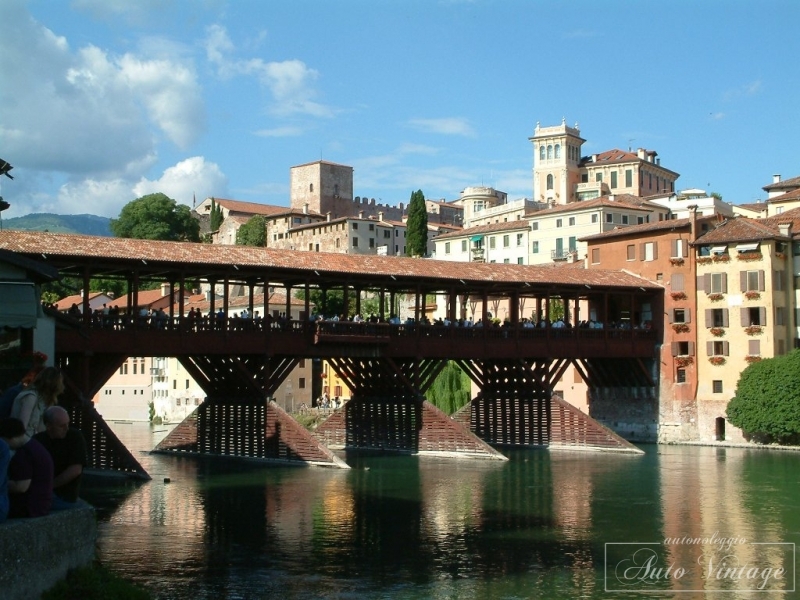 “Ponte di Bassano will give us the hand and a kiss of love …” Certainly one of the most fascinating and romantic places in Italy. 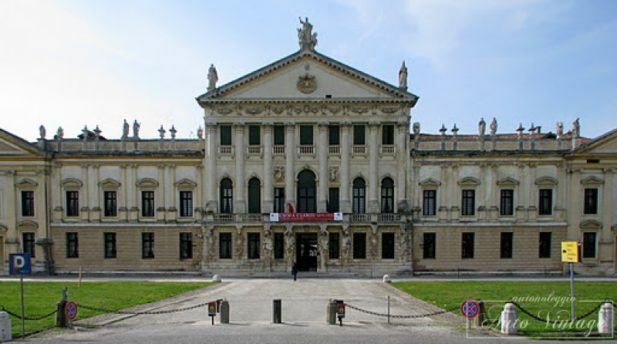 Destroyed many times by the fury of the river or man has always been rebuilt according to the techniques and the design of the Palladio of 1569, which resolved in a brilliant and highly scenographic way the passage on the river on which there were previous thirteenth century artifacts. 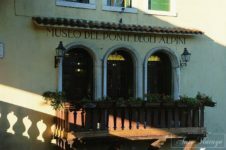 After the Second World War it was rebuilt by the National Alpine Association and since then took the attribute of ‘Ponte degli Alpini’ to consolidate tradition and affection dear to soldiers since the First World War. 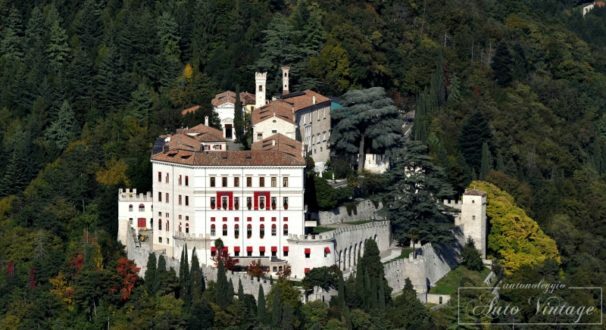 A few kilometers from Bassano we meet Marostica, a city of chess and cherries, and from the top of the Pausolino hill, the Castello Superiore di Marostica is one of the most spectacular horizons of the Veneto region. 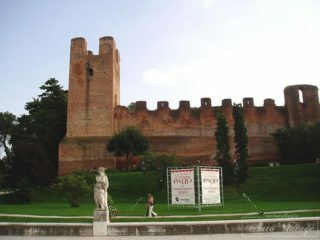 The town of Marostica, in a magnificent geographical position between the high Vicenza plains and the basaltic hills of the foothills, is accompanied by a series of districts and fascinating places such as the church of Sant’Agata between the hills of San Benedetto, the Sanctuary of Capitelli just above Vallonara, San Floriano, San Luca and many others. 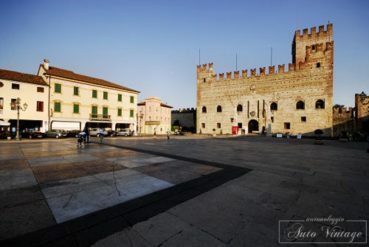 The itinerary starts from Castelfranco with an indispensable stop in the historic center to visit the Cathedral that contains the precious Pala del Giorgione, it is a tempera painting on a 200×152 cm table by Giorgione, dated to around 1502. Departing from Possagno you cross Pederobba with the Monument to the fallen Italians of France, you reach Maser beautiful country on the slopes of the Pedemontana where is one of the most majestic and beautiful Venetian villas, Villa Barbaro Basadonna Manin Giacomelli Volpi, built by Andrea Palladio between 1554 and 1560 for Danilele Barbaro and his brother Marcantonio, ambassador of the Venice Republic, was decorated with a cycle of frescoes representing one of Paolo Veronese’s masterpieces. 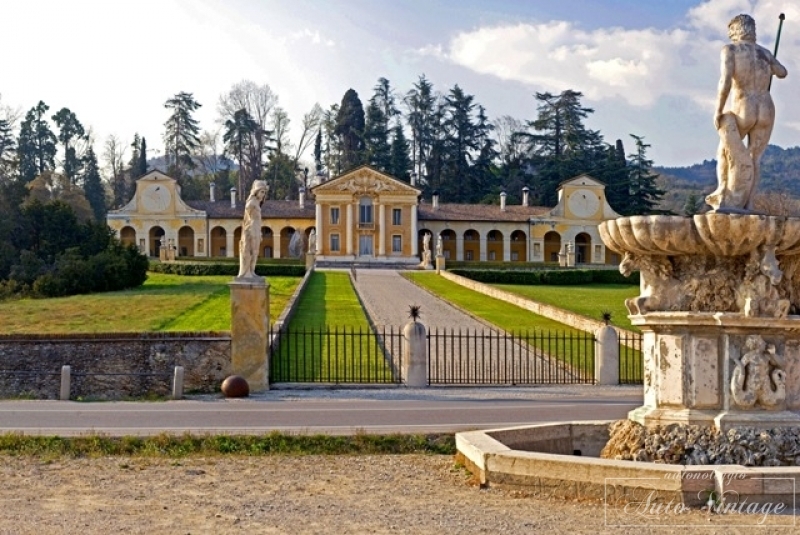 The villa complex also includes the Museum of carriages and a Palladian temple included by UNESCO in 1966 on the list of world heritage sites.